FM and I haven't had a quickie lunch date for quite some time. He's been working in the province and we only see each other during the weekend. 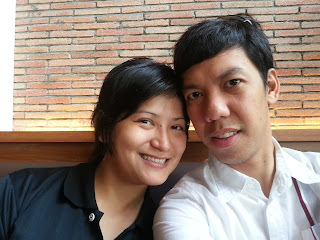 Today though, he was in the city and I took it as an opportunity for us to have an unplanned lunch date. 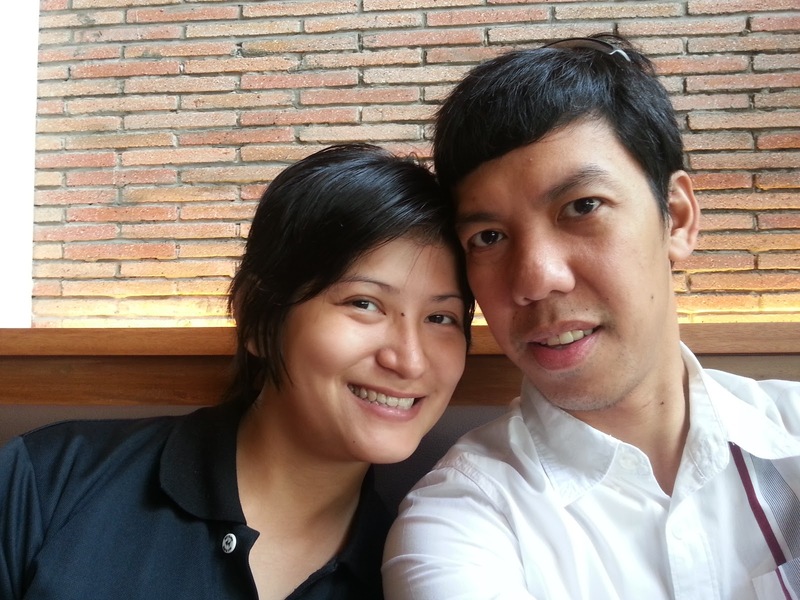 We ended up at Blackwood Bar and Grill at Greenfield District. FM ordered the crab and mango salad and I ordered the beef ravioli pasta and truffle mushroom soup. The truffle mushroom soup costs Php195. The first plate I got tasted of burnt spices so we asked for it to be replaced. The second plate I got still had a strong taste of spice but it was a lot better compared to the first one. The truffle mushroom was not that creamy and based on the taste, they did not just use truffle oil but actual truffles. The crab and mango salad costs Php395. It is a combination of mixed greens tossed in lemon aioli dressing topped with premium crab meat and ripe mango. It also came with strawberries and cherry tomatoes. The first plate we got did not contain any crab however. FM had to ask for it to be replaced and when it came back, it was overflowing with crab meat. It was pretty great for a salad. The beef ravioli with shiitake mushroom sauce was at Php295. This homemade pasta filled with braised beef in red wine mushroom sauce is served with truffle cream drizzles. FM and I both noticed that the sides of the pasta were not cooked properly. For me, the taste was just a bit overbearing. It had too much of everything that your palette is simply overpowered but not in a good way. Still, the staff were pretty good and engaging. I did not feel upset because they handled our complaints well and though this was not the most ideal date because of the chef's failures, I would still be willing to give this place another try.